Let’s start counting months using the two phases of the business cycle as defined by the NBER business cycle dating committee. How long is the current expansion? The current expansion started in June 2009, which makes it already 62 months. Compared to all the previous post-WWII expansions it is already above average (60.5 months). 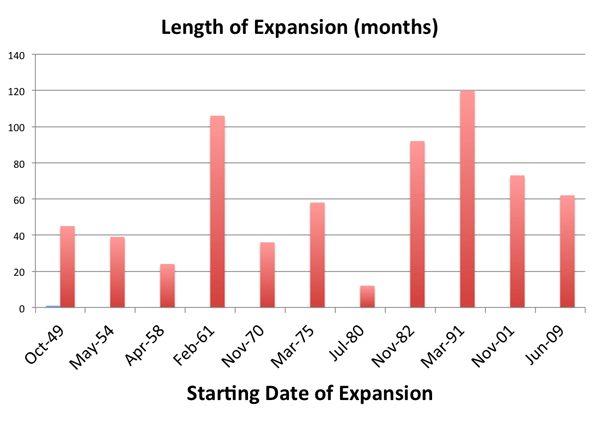 Another way to look at it is to realize that we are only one year away from reaching the length of the previous expansion (73 months). It is true that we are still far from reaching the 92 or 120 months of the previous two, but these were two of the largest expansion the US has ever seen. So for those who like to think about expansions and recessions in terms of length and they have the idea that crisis happen with a “certain” frequency, there would be nothing unusual if a recession started today. 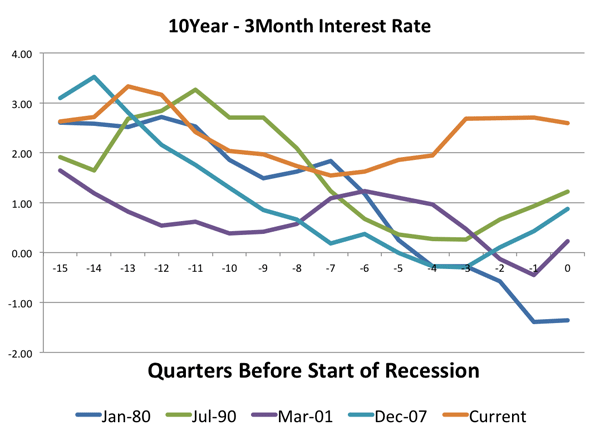 So what would a US recession today do to our understanding of business cycles? 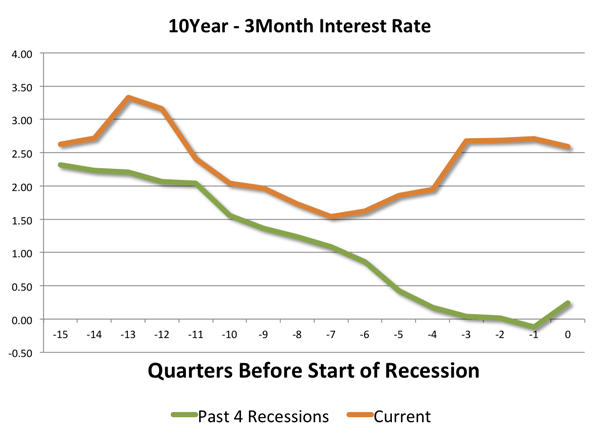 While it would not be a large surprise in terms of how soon it happened relative to the previous one, it would open many questions about the reasons why recessions happen and about the behavior of interest rates and monetary policy around the turning point of the cycle. It would be yet another “new normal”, this time for business cycles.